As symbol of power of the NS regime, decisions were made at the Eagle’s Nest. It still stands for the insanity of the regime and the world on the Obersalzberg, where plans for war and mass murder were formed. In defiance, the building stands perched over a sheer rock wall. A road was cut into the mountain through previously impassable terrain. Although it is an architectural master piece, it was still an act of waste on nature and other resources. To reach it, there is a golden brass elevator buried in the heart of the mountain, through which one can reach „the summit of power“ – all this has been created with the sole purpose to impress and dazzle people. 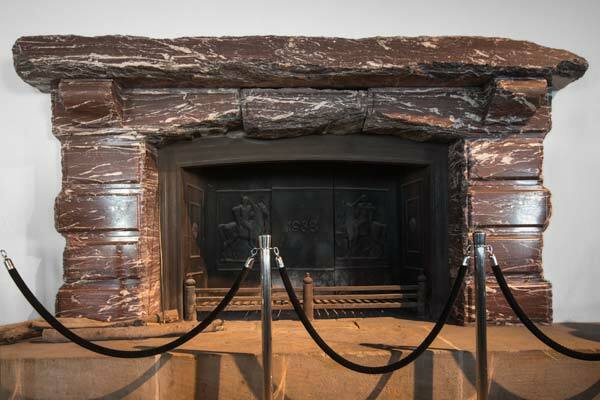 The building became a legend in the postwar period, and apparently its use of the Eagler’s Nest was seen as essential as a visual motif in popular US war films and series. This building is one of the few undamaged monuments of the Hilter era which has resulted in giving it a prominence that it does not perhaps deserve though it might seem to provoke. Berchtesgaden has outlasted its political importance. It must however not be forgotten that the Eagle’s Nest was a part of an idyllic setting, that was intended to overshadow all the horrors of those years. 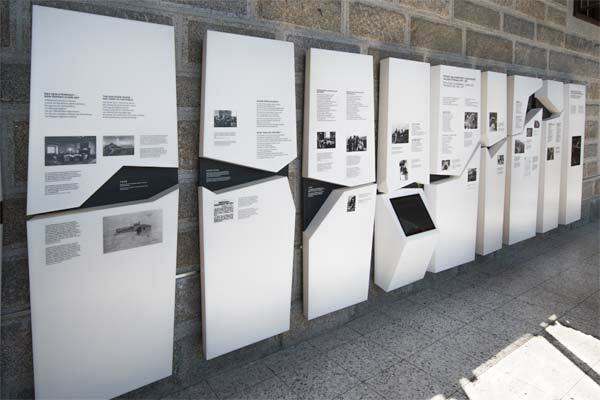 Today however it still offers a magnificent and unique view of the surrounding countryside and also the opportunity to remember and learn about the inhuman dictatorship it served. The Eagle’s Nest was originally designed by Martin Bormann. In fact, Hitler seldom visited the Eagle’s Nest. In the end, Allied bombing at the end of World War II did not damage the Eagle’s Nest and thanks to the intervention of former Governor Jacob, the Eagle’s Nest was spared being blown up after the war. Today the Eagle’s Nest remains in its original state. 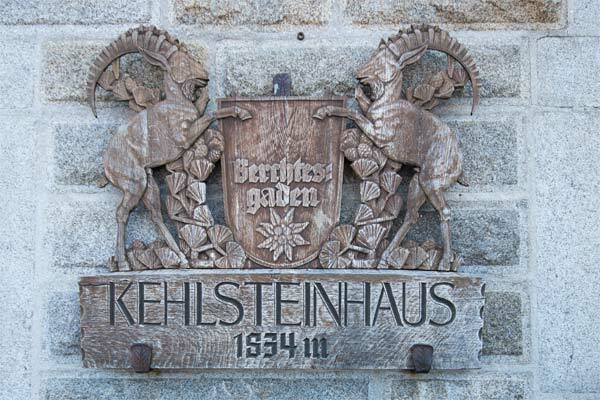 In 1960, on the occasion of the 150th celebration Berchtesgaden’s incorporation to Bavaria, the Bavarian government relinquished its control over the building to a trust that ensures that the proceeds are used for charitable purposes. The Eagles Nest is open from middle of may to middle of oktober. Please call the infoline: 0049 8652 2029 and 65650 70. The Eagles Nest is a restaurant today. It is open to the general public. Individuals require no reservation! If you travel by car, take the A8 and exit at Bad Reichenhall or at Salzburg Süd to Berchtesgaden and from there the Obersalzberg road to the Hintereck parking area at Obersalzberg. The road from Obersalzberg to the Eagle’s Nest parking lot is considered a feat of engineering. The road was blasted out of solid rock in only 13 months time and is considered to be unique in this construction design. The great difference in elevation is achieved with only one switchback and crosses the steep northwest side of the Kehlstein mountain twice. In 1952 the Eagle’s Nest road was closed to public traffic and a special mountain bus service was put into operation. Through the frost and snow of winter, the rock walls of the Eagle’s Nest road are damaged from falling rock from above, therefore every spring the walls are „cleaned“ and since 1952 have insured that no accidents have occurred. Board a breathtaking bus journey up the Kehlstein road and a luxurious brass elevator up through the mountain into Kehlsteinhaus, known in English as the Eagle’s Nest. Enjoy its impressive views and its excellent cuisine. The site combines a unique example of historic architecture and a stunning alpine setting.